Well sort of. It’s like El Fin Eve. But then there’s that tournament in Vegas. And then the one all over the country. It’s so damn confusing. Or is it? Because for the first time this season games are going to start having some tangible outcomes. A win here means this there. A loss tonight means a game tomorrow. Or no games at all. So sure, the fallout of it all is grossly complicated but we’re finally at the point where it all shakes out onto some staggered lines with the numbers 1-12 on the left and TBD team names on the right. And then it gets mad. In Vegas. Here is where I really wish I could find a clip of Chevy Chase just repeating “Vegas. Vegas. Vegas.” in slow motion in Vegas Vacation. You know the scene I just can’t find it on the YouTube. This one works, too. GotW: For the first time in GotW anointment history I’m calling a tie. First the games, then the caveat, then the explanation. Oregon @ Colorado, Thursday 7pm (this is mountain time for the first time for my Colorado friends), ESPN2. UCLA @ Washington, Saturday, 11am (this is PST), CBS. The caveat is UCLA beating WSU and the outcome of the former of the two listed games. And now the explanations. Oregon-CU is a revenge match of a game in Eugene that saved Colorado’s season as it was at risk of taking a really bad turn and that included an 8-0 run to finish the game. That’s the match-up intrigue. The ramification intrigue centers squarely on Oregon’s attempt to win a Pac-12 title. They need to sweep to ensure the 1-seed in Vegas. Big time. Meanwhile, up in Seattle, the Dawgs are looking to exact last-second revenge on the Bruins on CBS. How much do you love the CBS basketball jingle? Revenge is again the clear match-up intrigue. The ramification intrigue again centers on a title attempt. But what makes this one extra interesting is that UCLA could be playing knowing that a win allots them the conference crown all to themselves. Conversely, Washington knows that they could keep the hated Bruins from winning said title. If that’s the case and Washington wins, then Cal gets the 1-seed (assuming a win tomorrow against Stanford). Because that all makes sense. Game to Avoid: Well this time of year it becomes impossible to avoid game as they are, A) Ubiquitous, B) Spicy, C) Awesome. 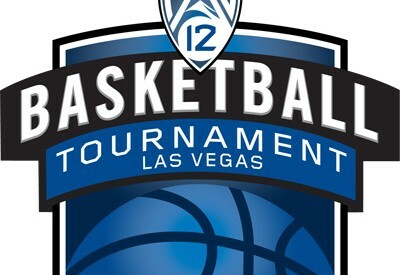 But if you must, if the draw of college hoop in March is not enough to keep you away from – I dunno – responsibilities then I suppose it’d be pretty darn ok to skip Oregon State @ Utah. This one airs parallel to the aforementioned UO-CU GotW so I suppose you could just flip back and forth between the two. In which case, if those responsibilities are still looming, USC @ Washington State, late Saturday afternoon, is your best avoidance. There’s a bit at stake for USC (they could finish anywhere between 4th and 8th) but WSU doesn’t provide much by way of viewable product and you’ve already had a really busy viewing morning to that point. This is a 3:30pm tip and there will have already been four P12 games. But it’s also the last Pac-12 regular season game of the year (:(). Something to Prove: The Arizona Wildcats need to prove something to us. Are they the 14-0 team or are they the 9-6 team? They’re in the big dance, the Wildcats will be seeded relatively favorably, but should we be looking at them favorably? They’re an odd group because they have so many question marks heading into the final weekend of the season. I struggle to wrap my mind around what happens in their senior finale Saturday at home against ASU. They’ve previously dropped the ball in big, emotional conference tilts (both UCLA games, @Colorado) but they’ll have one final regular season opportunity to demonstrate some semblance of authority that’s been missing the conference season long. Can they do it? Something to Lose: The UCLA Bruins have the easier of two final road weekend evils in playing UW and WSU as opposed to Oregon’s travels to Boulder and SLC. Which is to say that a loss at CU for the Ducks wouldn’t be a huge surprise (I in fact like the Buffaloes). Which is also to say that the Bruins have the better opportunity to sit alone atop the conference come Saturday afternoon. Which is to say – as the segment title suggests – the Bruins have something to lose. Which is to say that I think a conference title is something to lose. Which is to say….I got nothing left. The Jam: “We the Common” by Thao & The Get Down Stay Down. The YouTuber: Only the title of this video applies to this time of year as many teams are on thin ice. After that, your guess is as good, if not better, than mine.